Find all of the forms you need to access AmeriChoice products and services. 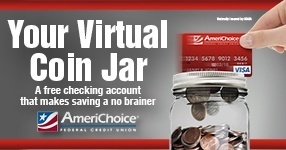 Enroll in AmeriChoice Online Banking and Mobile Banking today! Use this online inquiry form to request more information about any topic on this site! Please read the following disclosures so that you are aware of the regulations that govern transactions at the credit union. 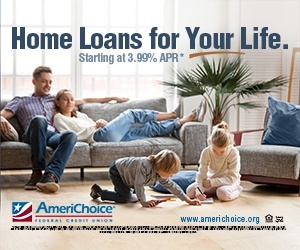 AmeriChoice Federal Credit Union and all its Mortgage Loan Originators are registered with the Nationwide Mortgage Licensing System, a free service for consumers to confirm that the mortgage company or mortgage professional with whom they wish to conduct business is licensed. Licensing information can be obtained at www.nmlsconsumeraccess.org. If you are in the market for credit, a home equity plan may be right for you or perhaps another form of credit would be better. Before making this decision, you should weigh carefully the costs of a home equity line against the benefits. 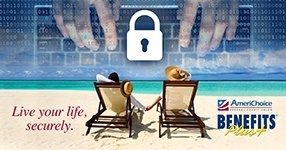 Shop for the credit terms that best meet your borrowing needs without posing undue financial risk. And, remember, failure to repay the line could mean the loss or your home. *Consult a tax advisor for further information regarding the deductibility of interest and charges.